Oriental Car insurance is a financial safeguard for a large variety of situations, car insurance becomes one of the most important purchases you’ll make. Oriental Car insurance take care of all damages caused due to natural disaster such as an earthquake or flood; or somebody damages or steals your car. Oriental car Insurance understand the needs and offer Comprehensive Motor Insurance products that provide the added protection for your vehicle. 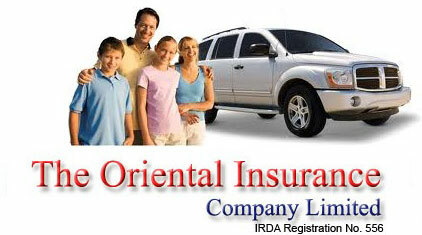 Oriental car Insurance further provides cover for liability, death or property damage of third parties. Legal protection for death or Injury claims from third parties, including occupants of your car. Personal Accident Benefits for you, your paid driver and occupants of your car. Protection for your legal liability to your paid drive. Personal Accidents to owner‐driver whilst driving the vehicle including mounting into/ dismounting from or travelling in the insured vehicle as a co–driver for Rs. 2 lakhs. For more information regarding Income Tax Benefits, visit www.taxqueries.in. Personal Accident cover can be given to passengers of the car on a named or unnamed basis, the number of passengers being limited to the registered seating capacity of the car. Electrical / Electronic Fittings which do not form part of the vehicle manufactured and imported have to be specifically covered separately by paying additional premium of 4% on the value of such fittings. 5% extra on OD Premium. Rs. 60/- Extra on TP premium. An additional premium of Rs.50/- for OD cover. Damage to tyres/tubes of the Car, unless damage to the vehicle in the accident with liability maximum fifty percent of value. Through Oriental Car Insurance premium Calculator we can calculate the annual premium based on depreciation value and IDV value given. Oriental Car Insurance premium Calculator gives you approx amount to be paid during buying new policy and renewing the old policy depending upon the details you have given. Log on to oficial website: http://www.orientalinsurance.org.in/. The Geographical area can be extended upto some some selected countries. 24×7 customer service is available through toll free. I have a vehicle of year 2014 july. My car insurance will expire on july 2015. Could you please mention my insurance premium as on 2015 july- 3rd party insurance, only insurance for govt rule and bumper to bumper insurance. My car is Hyundai Xcent 2014. Could you please let me know the premium rates available.